With another night of Simpsons shenanigans poised to take Constellations, Getintothis’ Shaun Ponsonby looks forward to another yellow nerdgasm. After the rousing success of last year’s inaugural No Homer’s Club exhibition – celebrating the genius of The Simpsons – the event returns in November, based on the regular Halloween-themed Treehouse of Horror episode. Over 30 artists will have their ghoulish Simpsons artwork on display, as well as live performances from Organ Freeman and Ohmns. 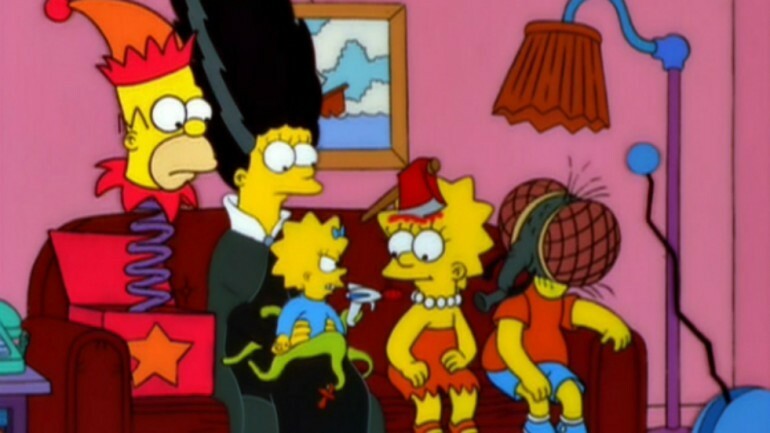 Several Treehouse of Horror episodes of The Simpsons will also be referenced through the night. The QUAD Collective reading Edgar Allen Poe’s The Raven, as featured in the very first Halloween episode of The Simpsons, in which Homer took the role of the poem’s lead and James Earl Jones narrated. Is The Simpsons the Shakespeare of our time? Getintothis tries to justify this outlandish claim. There will also be a donut eating contest from the Hell Labs Ironic Punishment Division, as seen in the Treehouse of Horror IV segment The Devil and Homer Simpson, in which Homer sold his soul to the Devil (Flanders, of all people!) for a donut. Finally, there will be Simpsons karaoke, with actual Simpsons songs, allowing anybody to get up to perform Baby On Board, Mr. Plow and a medley from the Planet of the Apes musical. Last year’s event was a sight to behold for anyone who grew up with this most brilliant of phenomenons, from the three stages of Marge’s Chanel dress, down to a Flaming Moe’s bar, complete with the barman receiving crank phone calls. With computer games, foodies, jewellery makers, artists, sculptors, bands, DJs and writers paying tribute to some of greatest episodes of the greatest TV show ever made, this year’s event looks set to be even better. No Homer’s Club – Treehouse of Horror takes place on Friday, November 4 at Constellations. Tickets are available from Skiddle.